Christmas arrived early in New York for Mets fans. The face of the future for the Mets, both toed the rubber in a double-header sweep of the Atlanta Braves. Matt Harvey continued to dazzle, striking out 13 in a 4-3 win versus the Braves in game one. 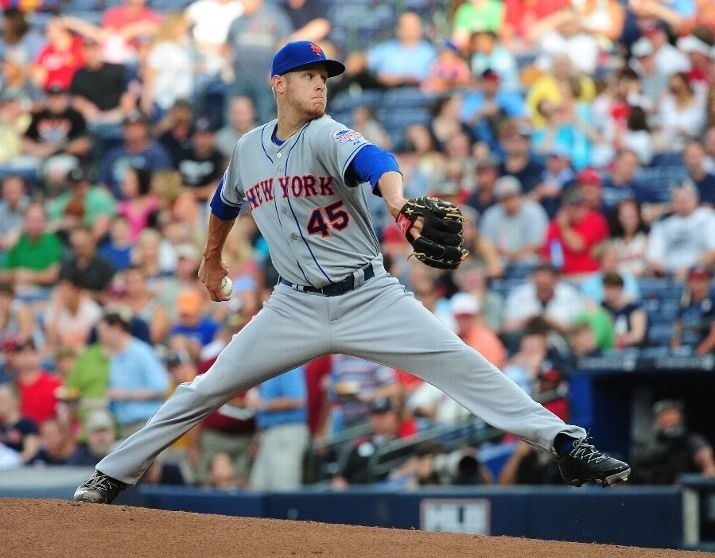 The next game was even bigger for Mets fans as their prize prospect, Zack Wheeler, made his major league debut. Wheeler lived up to the hype, throwing six scoreless innings and striking out seven against the first-place Braves, to sweep the double-header. He consistently hit the upper 90s on the radar gun, and though he struggled at times with control, walking five, he was able to get out of the jams. With Wheeler making his debut, the choice of Brian Sabean — San Francisco Giants GM — trading Wheeler to the Mets in 2011 for a 34 year-old Carlos Beltran, has to be looked at once again. Sabean believed that Beltran would be a win-now bat with the chance to win a World Series. In 44 games with San Francisco, Beltran hit .323 with seven home runs, but the Giants did not reach the playoffs. Beltran does not deserve the blame for the Giants not playing in October, as Buster Posey was hurt and the team simply did not play good enough. Fans see this trade as a big loss for the Giants, but if you look at Beltran’s career, blaming Sabean is hard to do. Many people may not see it, but Carlos Beltran could easily be a future Hall of Fame player. No he does not have 500 home runs or has an MVP trophy to his name, but there are numbers that make a well deserved candidate. Beltran is one of only four players in baseball history to have career numbers of a .280 or above batting average, 300 home runs and 300 stolen bases. The other three are: Alex Rodriguez, Barry Bonds and Willie Mays. Not bad company to join at all. In his career, Beltran has a .283 average, with 351 home runs and 307 stolen bases. To add to his résumé, Beltran has many other accolades. He is a seven time All-Star and will make the team again this season, three-time Gold Glove winner and won the 1999 Rookie of the Year award. Beltran was also one of the few to continue succeeding in the steroid era without ever being a suspect of enhancing his body. He is a true baseball player that has dominated with his bat, glove and legs. What makes fans see this as a loss, is the fact that Beltran did not re-sign with the Giants. 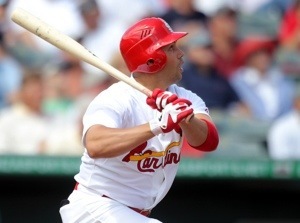 After the 2011 season, Beltran signed a two-year, $26 million contract with the St. Louis Cardinals. The Giants supposedly made an offer just short of the Cardinals offer, but Beltran would not agree to the offer. Trading for a possible future Hall of Fame player is always hard to argue against, but since he did not re-sign and how good Wheeler can be, this trade will always be hard to justify for Sabean. The New York Mets now have a pitching combination of Harvey and Wheeler that can dominate in the Big Apple for years to come. Harvey, 24, has take the league by storm and may be a candidate to start the All-Star game at Citi Field this July. He is currently 6-1 with a 2.16 ERA and has struck out 115 batters. Wheeler, who just turned 23, is looking to be Harvey’s Robin, forming the best young pitching duo in baseball. He is 6’4″ and weighs 185 pounds with room to grow. Harvey already has more of the ace size at 6’4″ and 225 pounds. The duo both can hit the upper 90s, but at a young age, already look like polished pitcher and not young throwers. They posses an arsenal of pitches to make hitters look foolish. The Mets now have what they could have had with Nolan Ryan and Tom Seaver. Now, Harvey and Wheeler look to be the next big thing in New York to bring the Mets back into contention. This trade could have worked for both sides if Beltran re-signed, but if the duo lives up to the hype, the Mets seem like the winners, while Beltran continues to impress in St. Louis.